Spillbusters Ltd offer a range of 100% natural and environmentally friendly absorbents which include Peat fibre and Pumice granules mined here in New Zealand. 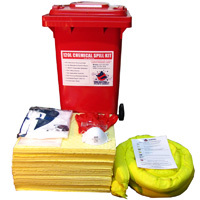 The absorbent fibre and granules are available in 3kg to 50L bags, we also supply absorbent pillows, pads, roll, socks and floating booms to help assist in the clean up of hydrocarbons, oil, diesel, petrol and chemical spills. 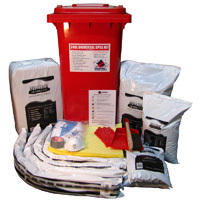 This range of products is commonly used on construction and roading projects and provides ideal protection in the event of spill seepage of vehicles, machinery, barriers for stormwater drains and water ways. it will not leach, leak or discharge. It maybe incinerated or disposed of in landfills. (Must enquire with your local council for advice first). 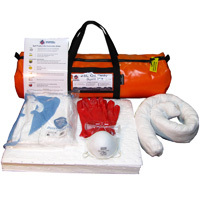 Can absorb up to 3-4 times it's weight in spills. Universal Peat fibre is 100% natural and environmentally friendly loose absorbent suitable to use and absorb hydrocarbons such as oil, fuels, hydraulic fluids and a wide range of chemicals on land and on water. 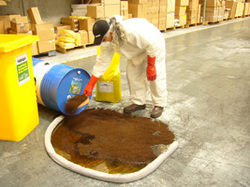 Once the spill has been absorbed,it will not leach, leak or discharge. It maybe incinerated or disposed of in landfills. (Must enquire with your local council for advice first). Contact us to discuss your pallet volume requirements. New Zealand Pumice is a non-toxic natural absorbent product in granular form that can be used for petroleum and chemical spills. New Zealand Pumice is a non-toxic natural absorbent product in granular form that can be used for petroleum and chemical spills. Contact us to discuss your pallet volume requirements. Universal absorbent socks are filled with 100% natural Peat fibre and are suitable to use and absorb hydrocarbons - oil, fuels, hydraulic fluids and a wide range of chemicals. These socks will help contain a spillage and prevent migrating liquids from entering stormwater drains. Universal absorbent pillows are filled with 100% natural Peat fibre and will absorb up to 3-4 times its own weight. This environmentally friendly product is used to absorb hydrocarbons - oil, fuel, diesel and a wide range of chemicals. These polypropylene pads are specifically treated to absorb hydrocarbons such as oil, petrol, and diesel while repelling water. Ideal for use in smaller spills under machinery or leaking taps. Pads are thermally bonded with a dimpled surface which makes the job quick and easy for cleaning up. Can order by the pad or carton. Polypropylene oil only absorbent roll with easy tear away perforations. Use only the amount required for your specific spill size. Repels water. Perforations at 30cm and 60cm on the width and every 25cm on the length. 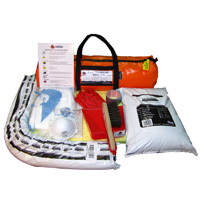 Polypropylene pillow for use absorbing hydrocarbon spills and ideal for positioning under leaking machinery. 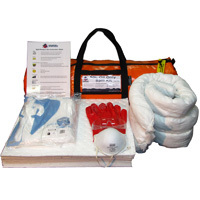 Specially treated polypropylene absorbent socks are designed for use with hydrocarbon spills such as oil, petrol and diesel. These socks will help contain a spillage and prevent migrating liquids from entering stormwater drains. 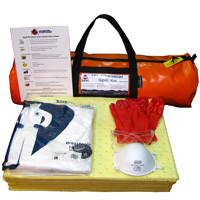 Polypropylene oil only floating booms are ideal for use with absorbing oil, petrol, diesel and other hydrocarbon spills on water. These booms are designed with clips and D rings on each end which allows you to form a continuous barrier size suited to the spill size. 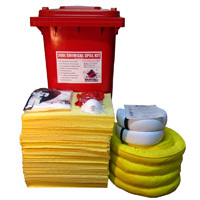 These specially treated polypropylene absorbent pads designed for use with acids, bases, oils, coolants, solvents and water. 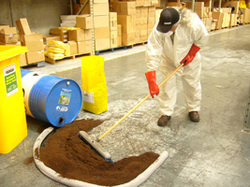 Pads are thermally bonded with a dimpled surface which makes the job quick and easy for cleaning up. Extra heavy weight pad, ideal for larger spills. Can order by the pad or carton. 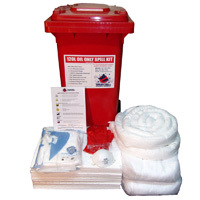 These absorbent socks are specially treated polypropylene and are designed for use with aggressive chemicals that will not degrade or fall apart even when saturated. These socks will help contain a spillage and prevent migrating liquids from entering stormwater drains.